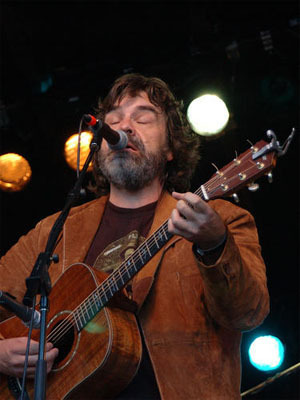 Darrell Scott is a powerful musical spirit. A Grammy-nominated artist, an award-winning songwriter, and a first-call session musician, living and working (literally and figuratively) on the fringes of Nashvilles Music Row, Scott occupies his own unique half-acre in this citys crowded musical landscape. In a town thats got pigeonholing down to an art, Darrell Scott stands out as a refreshingly mischievous artist. Scott is a master of both the infectious, Southern-Rock riff, and of the instruments that bring them to life. His songs are propelled by his knack for blending tradition-soaked hooks with personal, contemporary lyrics. On The Invisible Man, Scotts sixth album, Scott explores themes of love, family, and the joys and pitfalls of the artists life. And if the singer sounds a little politicized on songs like Im Nobody and Goodle, USA (which, in a lyrically sanitized version, is covered by Faith Hill on her latest release), there are good reasons.